I wanted to share the most recent styled shoot that I was asked to be apart of last Saturday! Summer Simmons Photography was so kind to reach out & asked me to be apart of the shoot she was planning at The Bleak House Knoxville, She had a vision in mind & I was ecstatic with her vision.. It was a beautiful boho meets vintage classy theme. The Bleak House was the perfect venue for her vision to come to life. 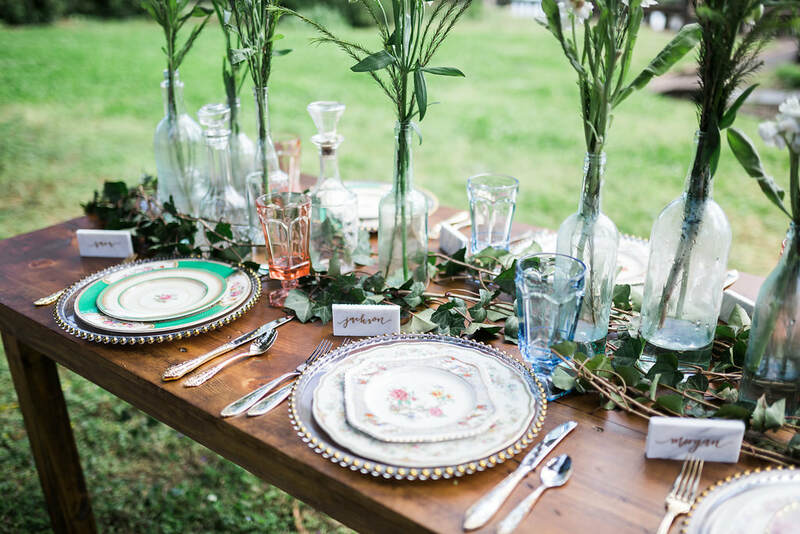 For the table setup Melissa Timm arrange a stunning floral centerpiece that gave our table the most whimsical feel. I was able to add in some of my vintage brass candle sticks, with some of my grandmothers vintage china & my favorite gold scalloped chargers! Wallace Paper Company made us some beautiful stationary to add on the table. Since they went with green print I added my sage green linen napkins to add a pop of color on the neutral color pallet. While I was setting the table up the stunning model Alyssa O'Bregon was styled by Alex York for her hair & Kristen Davenport for her makeup. When they were done with her she was absolutely stunning! She then was dressed by Loveliest Bridal & looked amazing. Her boyfriend Parker Haun was the male model for our shoot & just looking at Summers stunning photos you can see how much they love each other. Below are some of my favorite from the photos that Summer captured. I encourage you to go follow all of these talented vendors. 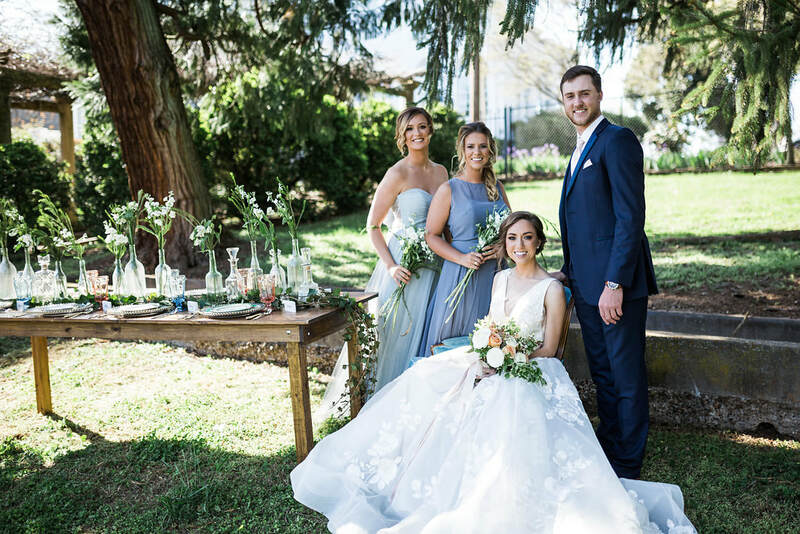 If you are planning a wedding we would love to help you & work with these talented ladies again! Vintage, Chic, Florals, Blue Tones & Historical Buildings are just a few things that make my heart skip a beat!! Designing & Creating this shoot brought me so much joy & allowed me to work with some of my favorite Knoxville vendors! 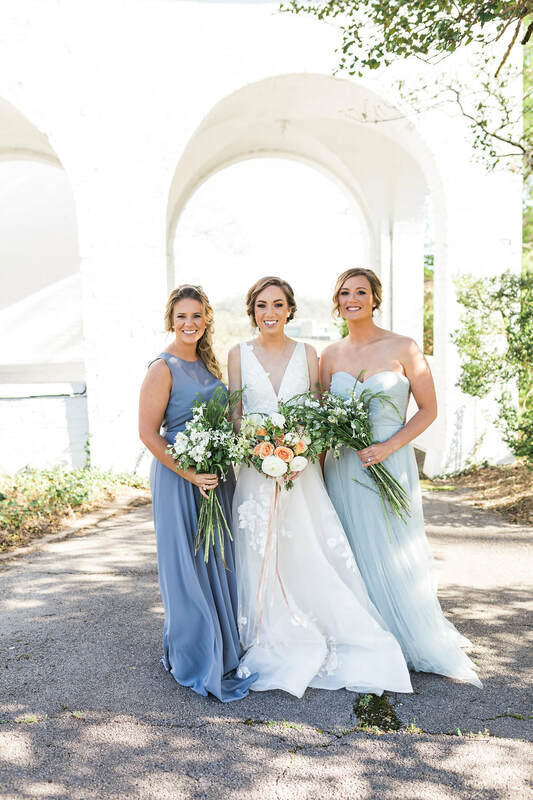 When coming up with a theme for this shoot I originally was only going to do 1 table design & bridal portraits with hues of blue & vintage touches, however after reaching out to a few of Knoxvilles finest vendors I received more interest then I excepted. Fast forward a few planning steps & I had enough beautiful pieces & people to do 2 different looks at the amazing Historic Bleak House. Since I was able to create 2 different looks I wanted to show how you can achieve looks with all ranges of a budget (these things are noted below). 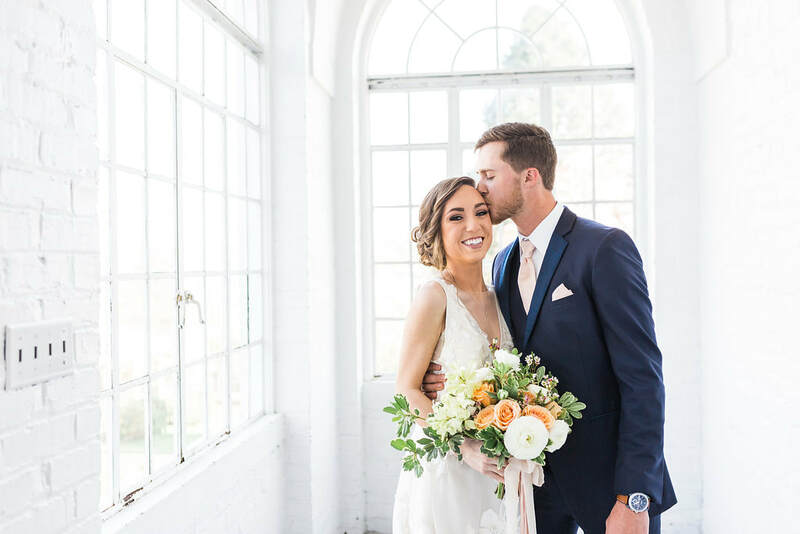 Venue Selection was key in achieving this pristine shoot! 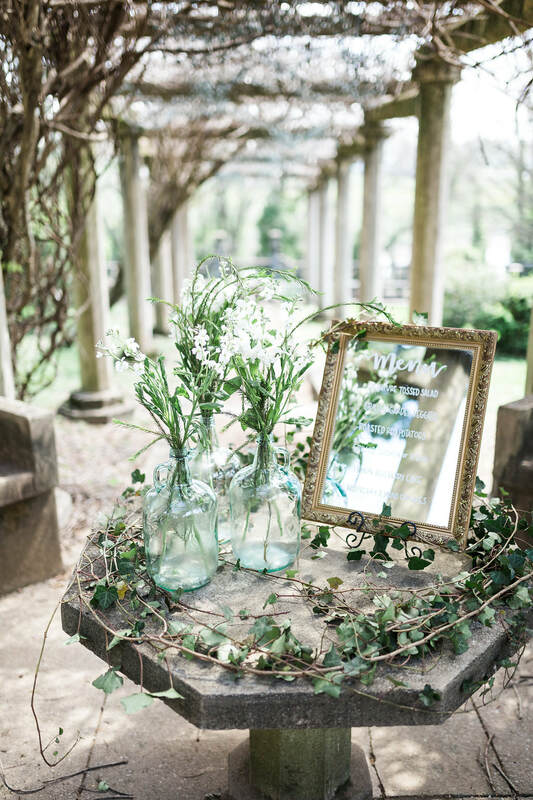 The Bleak House Knoxville has so many gorgeous spots on its property! I wanted to take advanced of them & show people how beautiful a old house can be when hosting a wedding or event! As a historic 1800's Confederate Memorial House its classic white walls &.beautiful charm are unbeatable! Be sure to go check them out if your looking for this style of venue! Where to begin with our AMAZING vendor team! Heather Faulkner Photography took our photos & was on set all day to help with small touches & getting all the detailed shots. 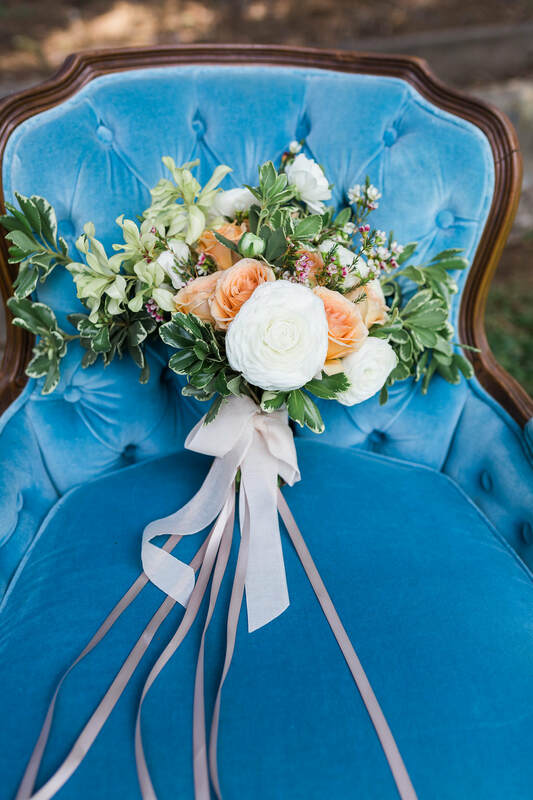 Her attention to detail & creative photography really make her one of Knoxville's best choices for photography, When I am doing any sort of vintage theme event I know I can always turn to Sisters Vintage Rentals for help! They are the sweetest 4 ladies you will ever meet & have a real eye for collecting the most unique items to be used for decor. 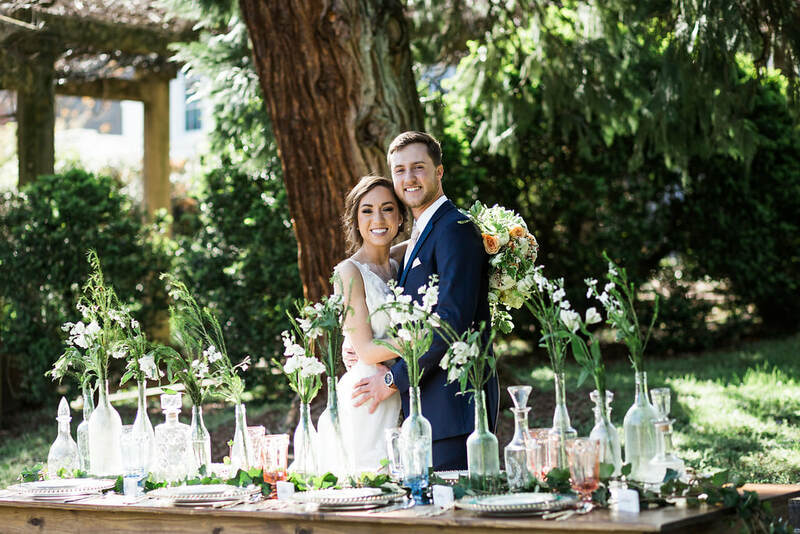 They provided all the vintage details & handcrafted farm house table that took our look to the next level! 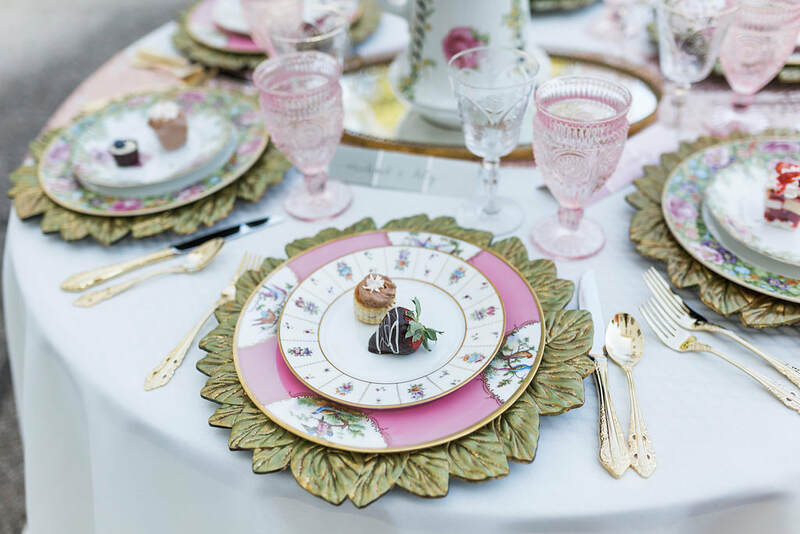 I wanted to also have vintage mismatched china at each place setting. Sassy Settings Katherine always comes through with the best selection of.china that is only in tea party story books! The flowers I think made the shoot come together as a whole! 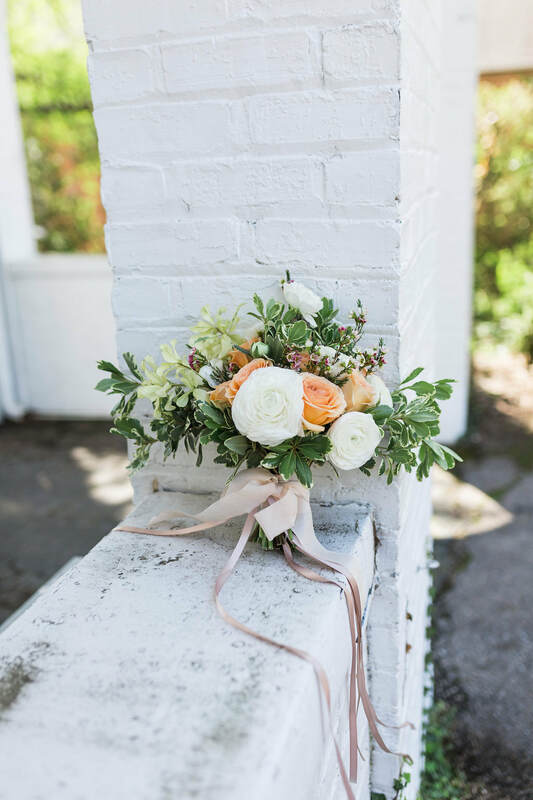 Thistle & Lace Floral provided us with the brides bouquet in all the perfect spring flowers. The table flowers & bridesmaids bouquets I bought and arranged on site. I probably spent around $40 total on all these flowers from Kroger & Trader Joes. The ivy that lined the table I literally cut from my back yard! (I am all about saving $ where you can & not compromising on style) So purchase your bridal bouquet & handcraft your table flowers if your on a budget! 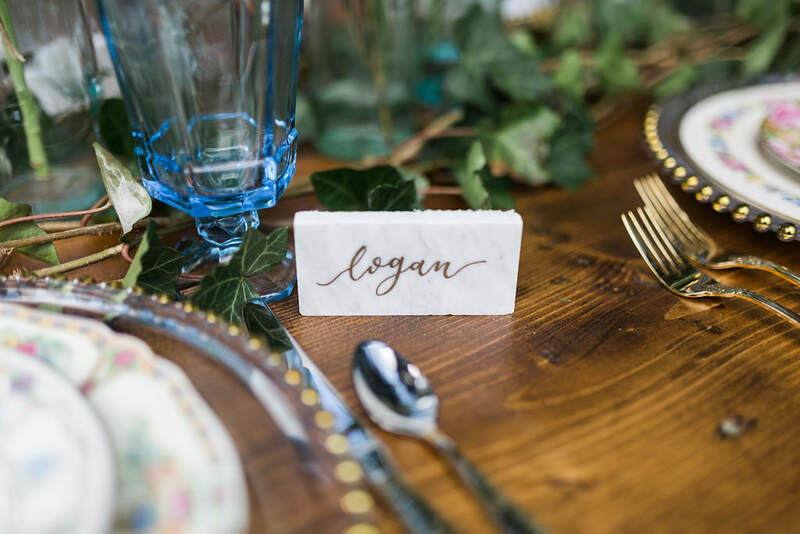 As a wedding planner I think even the smallest details are always important. I wanted to show future brides that tables can be made beautiful with all budgets. One way this was shown was by the place settings. I used marble tiles at one table (quite expensive but lovely) & paint chips at the other to show a budget friendly option (hello they are FREE)! When needing the hand calligraphy I turned to The Tristar Scribe! 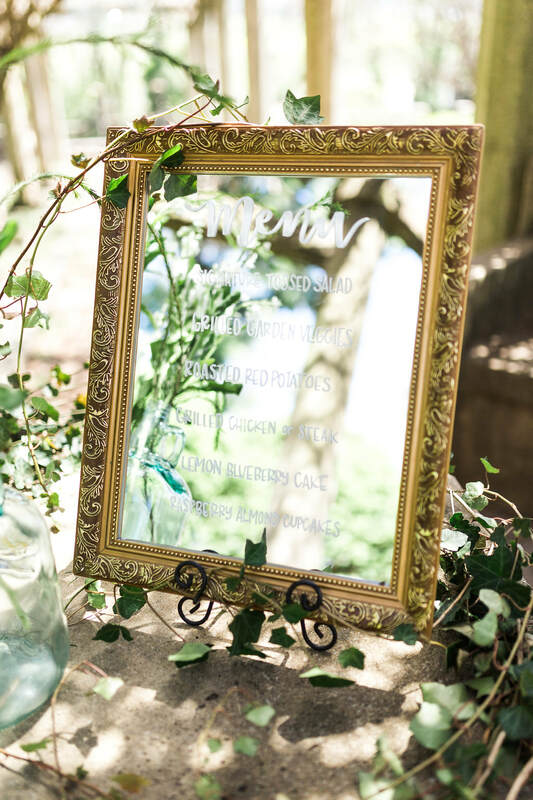 Brittany really worked her magic on these 2 types of place cards along with doing a menu mirror & a invitation! The other small dainty details where in our miniature desserts. They where provided by The Double Tree Oakridge Catering department. They are now offering off site catering & have great food options. Wow what a amazing team we have but lets not forget the ones who made our models look good! 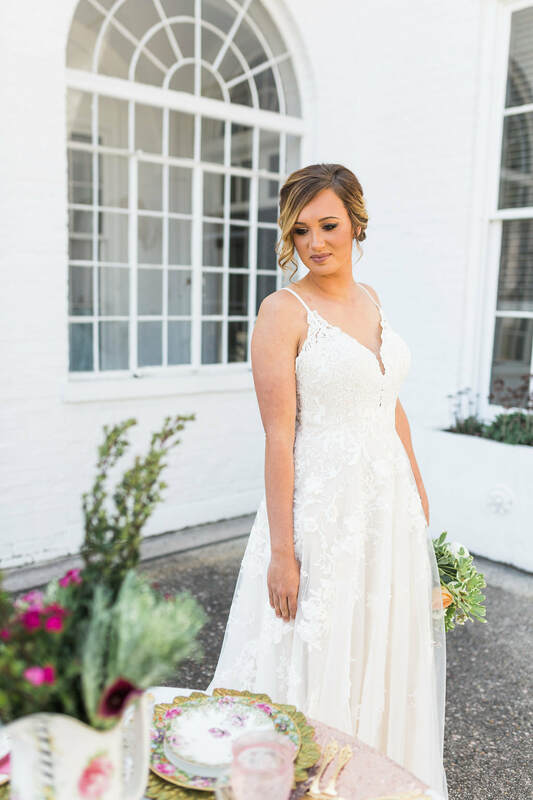 The stunning hair was done on location in the bridal suite by Stylist Chelsea Payne & Makeup as well by Katie Hill (go follow them on Instagram)! Shoot 1 & 2 shown below the gowns where all provided by White Lace & Promises. The grooms tux was provided by Regal Tuxedo Knox. Also a great big thanks to our. models Logan Zavels (my sis in law), Morgan Burnette, Amy Morgan & Jackson. Let me start out by saying I LOVED everything about this shoot! 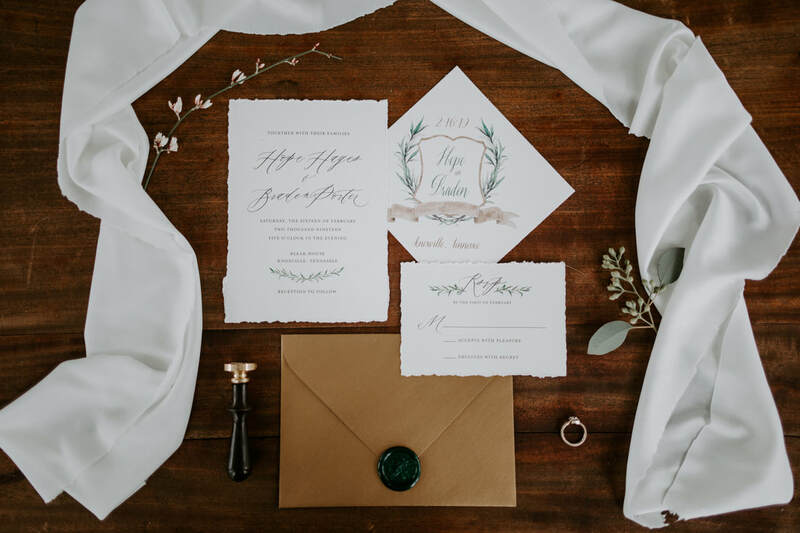 It all began when Stephanie with Blush Creative Photography reached out to me with the idea of collaborating on a styled shoot! I knew with her fantastic photography skills we where a perfect match. I then began to gather inspiration & ideas together. I knew I wanted the focal points to be mystical, organic & breath taking. I felt like all things purple was the direction my heart was leading me. I began to reach out to some of Knoxville's best wedding vendors who made this styled shoot at The Standard a success! It was all the small details that made my heart so happy when the finished product was complete! Our choice of The Standard was the perfect location with its modern features & natural wood walls & floors. Matt at Echelon Florist hand selected the perfect succulents & wild flower arrangements that really made this table pop! Kathryn with Sassy Settings China Rentals really out did her self with her classic china pieces & hand made napkin rings. We knew we need a timeless dress and classic tux for our models to wear. The Gilded Gown & Prestige Tuxedo gave us the perfect combo. 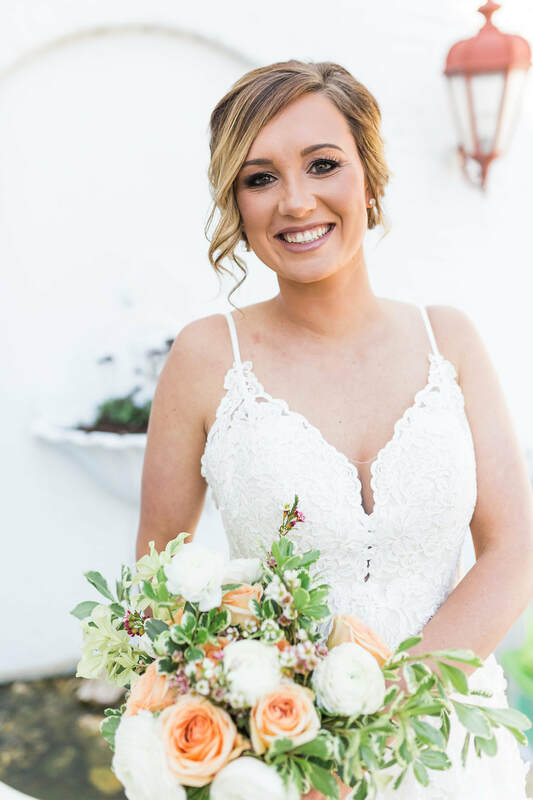 When down to the last minute to find hair & makeup Bangs & Blush pulled through & did a fabulous job evening adding small flowers to her hair. Of course the setting would not be complete with out dessert so I headed to Makers Donuts on my way to the shoot because I knew they had perfect purple Blueberry Bourbon Glazed donuts that would make our shoot complete! I can not say thank you enough to all the vendors & our amazing models who took a few inspiration ideas & made this shoot come to life! I hope you enjoy the photos by Blush Creative Photography! 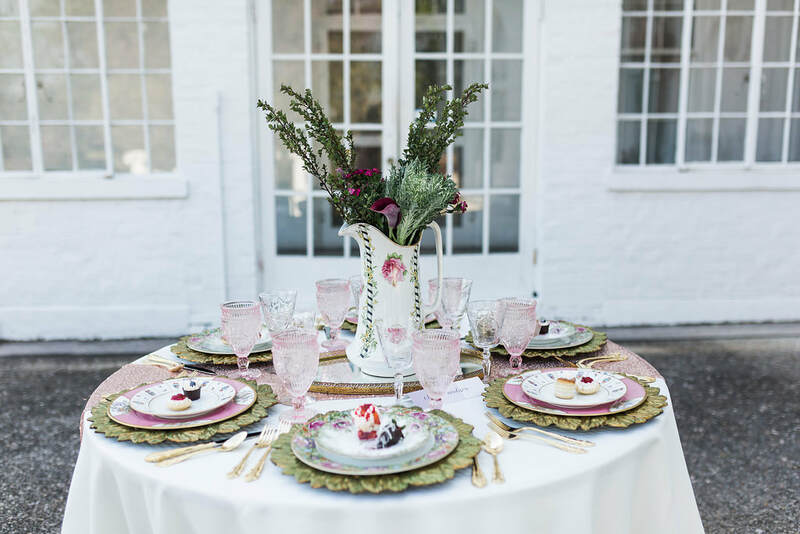 I loved planning this Spring time styled shoot at The Foundry Knoxville. I wanted to go for a classic & timeless look. I choose gold tones with some peach accents in the flowers & china. I wanted to add some vintage inspirational pieces with the candle sticks & table & chairs. I wanted to focus around the Foundry's elegant fireplace & show its classic brick wall. The whole shoot turned out perfect thanks to all the amazing wedding vendors listed below.